Located in the Old Market district just a short walk to the east of the Rhydin Marketplace, on the corner directly neighboring the Teas'n Tomes, the Matadero Meat Company's inner city outlet was purchased in June of 2015 by its sole owner: Salvador Delahada. Renovations began immediately and were completed swiftly. On July 13, 2015, the Carnicería celebrated its grand opening with a ribbon cutting ceremony and block party barbecue. 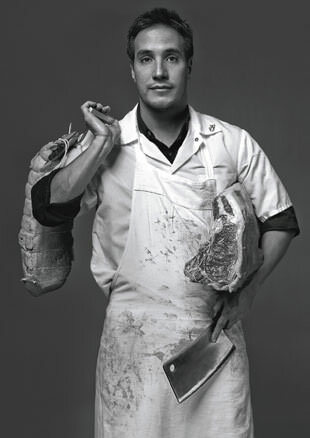 The Carnicería operates as the official shopfront for the Matadero Meat Company, specializing in free range pork and beef products acquired through humane slaughter practices. For sale to the general populace of Rhydin City is a wide variety of cuts, made to order. 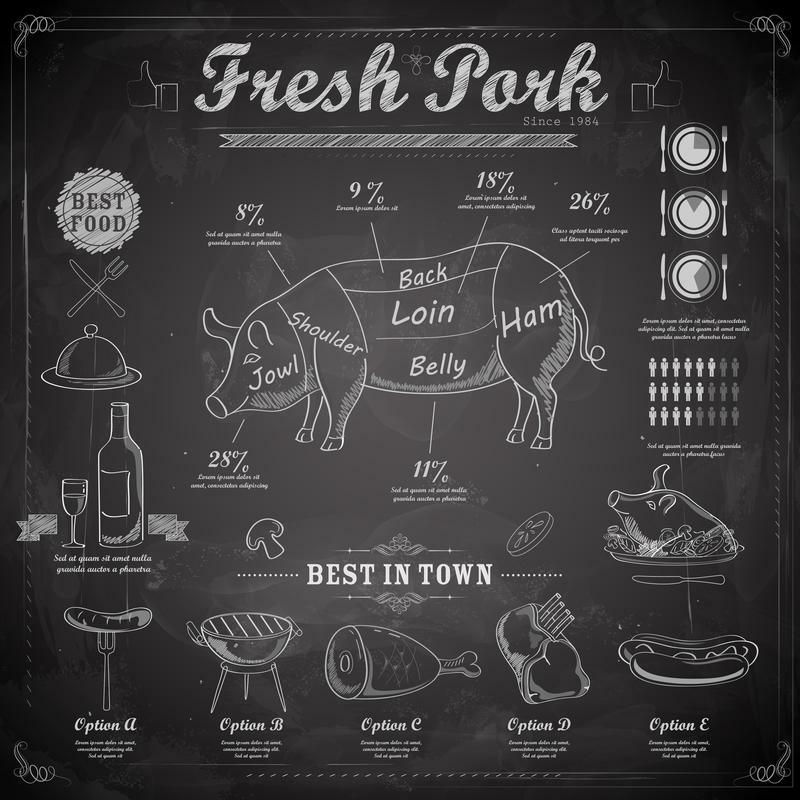 A large selection of cured meats, jerky, bacon, and assorted smoked sausages can also be purchased. 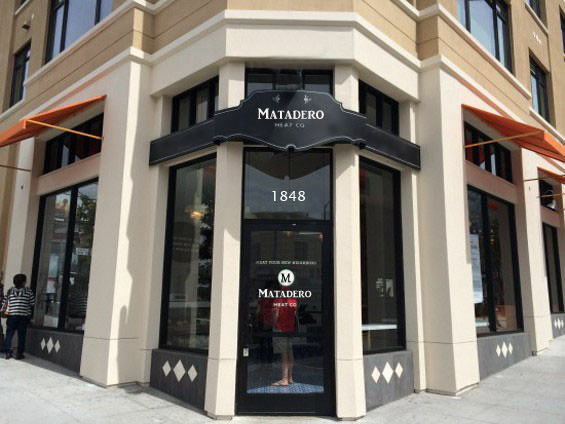 The Matadero Meat Company does not provide catering services. Store hours run Monday through Friday 8:00 AM to 6:00 PM. Public access is limited to the main showroom located just inside the main doors from the corner of the street. Areas beyond the glass cases are restricted to Carnicería personnel only. Father and son duo, Boscoe "Hank" Stiggowitz (pictured bottom) and Lyle "Hank Jr." Stiggowitz (pictured right), professionally licensed butchers and charcutiers, manage and operate the shop throughout the week. Fresh products are delivered to the rear of the building from the main Matadero facility every morning and afternoon, twice daily. Rumor has it among the criminal underground that the Carnicería also operates as a front for publicly unmentionable secret business arrangements. The Stiggowitz family lives above the shop to accept late night calls for Pick-Up or Drop-Off services. After hours visitors are required to ring the buzzer at the rear of the building. A secondary private residence is located upstairs as well, currently unavailable for rent due to occupancy. The Carnicería is totally inaccessible to the general public outside of operational open business hours. Not only is the building locked at night and on the weekends, but it is also magically sealed and warded to keep out unwanted entities and deflect scrying attempts. These safeguards extend even below the Carnicería, into the cellar and Catacombs beneath the building.